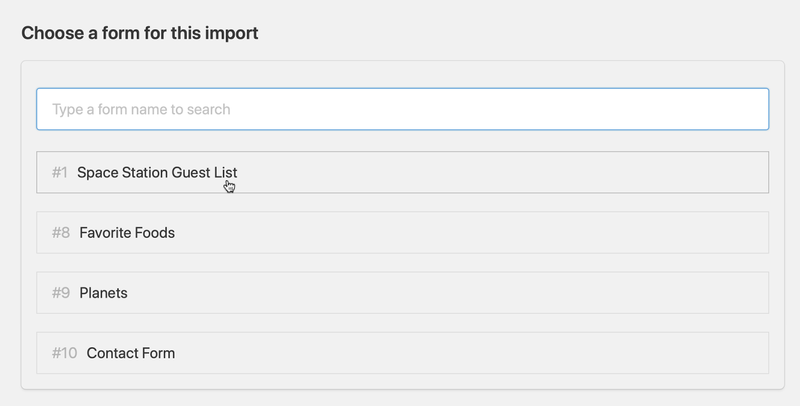 Import Entries 2.0 is hands-down the best and most powerful way to import a CSV into Gravity Forms. 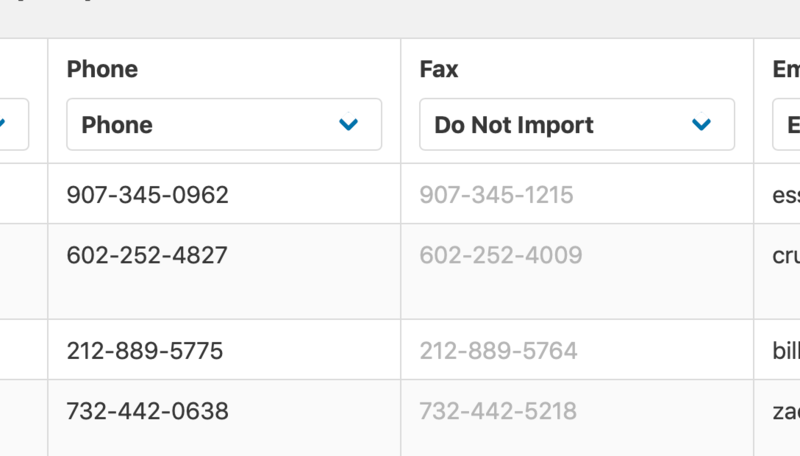 Version 2.0 of Import Entries is rewritten from the ground up for reliability and ease of use. Version 2.0 includes a brand-new interface, which we will walk through now. 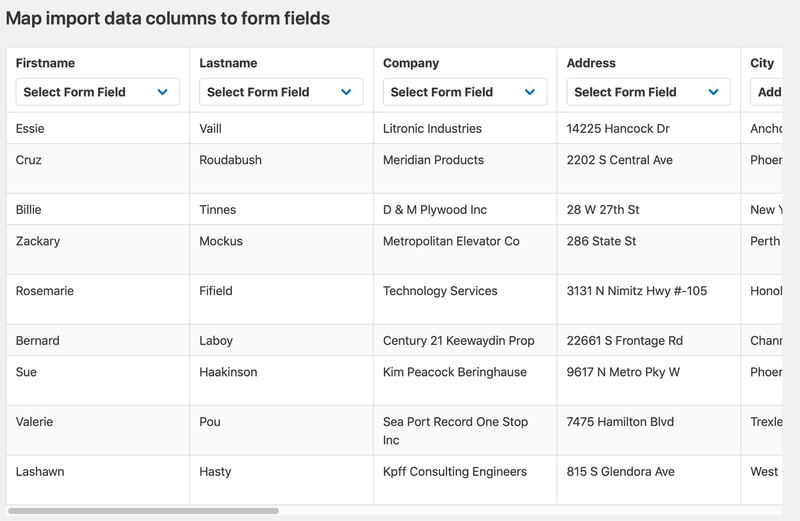 Drag a CSV file to the box, or click the box to select a CSV from your computer to upload. 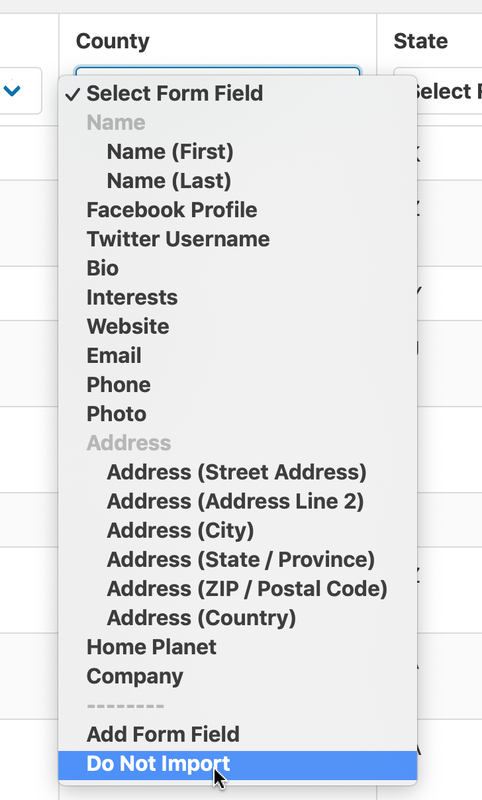 You can also press the back button in your browser. A preview of the uploaded file will be shown. 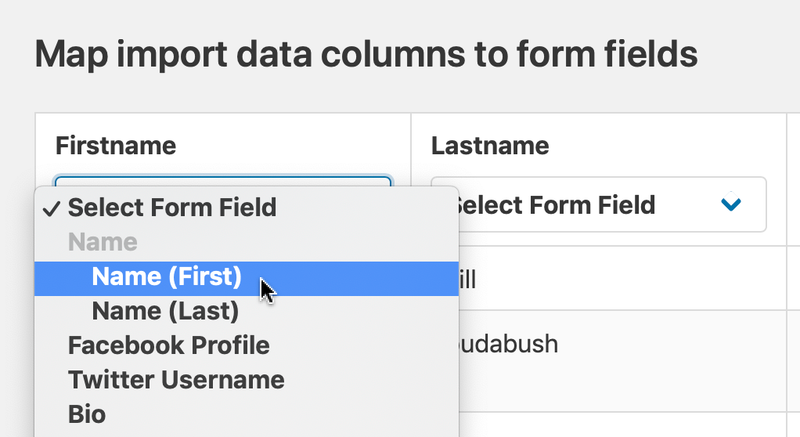 If a field does not exist, you can create one by selecting "Add Form Field"
When a column is set to Do Not Import, the data preview will be grayed out. 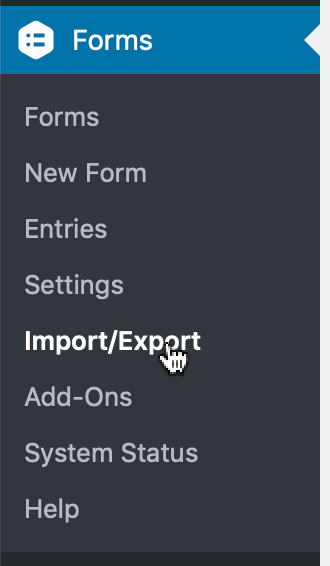 You can add multiple rules at once by clicking the plus button to the right of each rule. 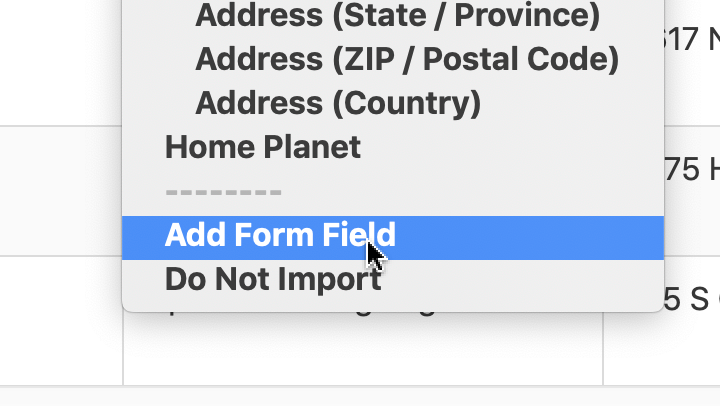 You will see the progress of the import on the screen. 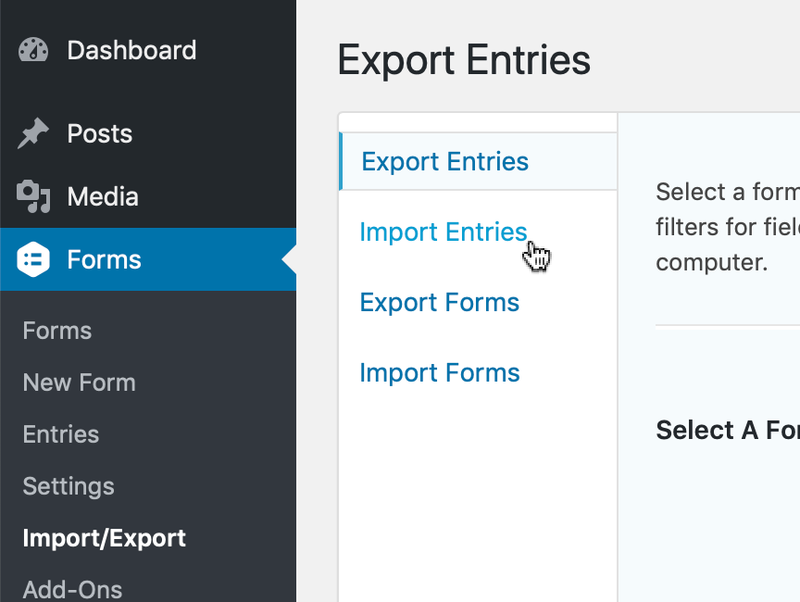 When the import is completed, you can start a new one or view the entries.